When it comes to pickles, I’m a bit of a snob. Sweet pickles? Yuck. Less that crunchy pickles? No way. In my life, I’ve only ever liked ONE of the numerous homemade pickles that I’ve tried. I’ve never tried making them myself, because I was convinced that even I couldn’t make a pickle that I would like. Until I discovered this awesome refrigerator pickle recipe, that is. And guess what? They’re delicious! At the grocery store, Claussen pickles are my favorite; they’re always crunchy and have a great flavor. 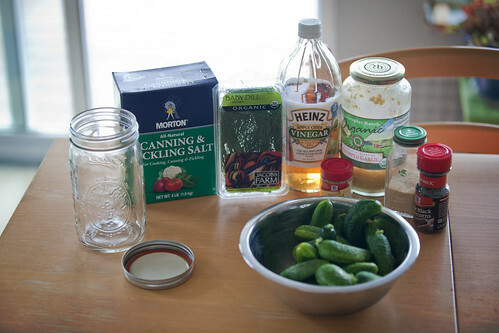 So when I found a recipe for Claussen-like refrigerator pickles, I had to give it a try! I bought 1 pound of pickling cukes at my local farmer’s market for $2, and tested the recipe with 1 pint sized jar. The recipe below will work for about 2 pounds of pickling cukes. First combine the water, vinegar, salt, and spices (not the dill) in a saucepan and set it to high. As that heats up, wash and cut up the cucumbers. I just cut the ends off and sliced them in half. Then fill the jars with the cukes and dill. Once your brine has heated through, and the salt has all dissolved, take it off the heat and let it cool. It works best if you strain out the mustard seeds and peppercorns then divide them equally among the jars. Once the brine has cooled a bit, fill your jars to completely cover the cucumbers, leaving at least 1/4 inch of space at the top. Put the lids lightly on your jars or cover with cheesecloth, and then let them sit out of sunlight on the counter for 2-4 days. I could only wait 2 days before I had to try them, and they were good, but not quite pickle-y enough. I ended up leaving them out for just over 3 days before putting them in the fridge. You’ll want to let them chill for at least a few hours to get the best pickle experience! 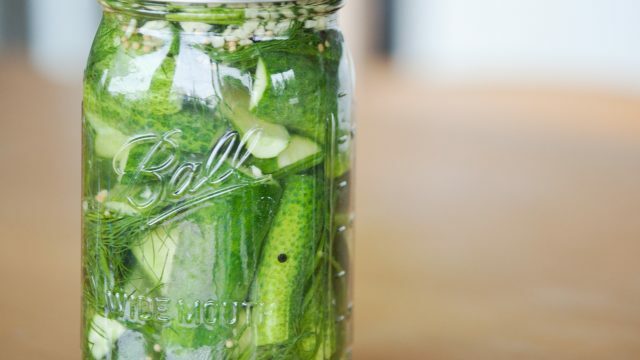 Do you have any great homemade pickle recipes? Please share them in the comments! would love to make for Christmas gifts… how long will they stay “good” in a refrig? After you eat all the claussen pickles and the remaining juice is left in the jar slice some carrot sticks up and put in the jar for a couple days and eat. Talk about good try it! I will definitely try this. It would be so delicious. I have to try this out! 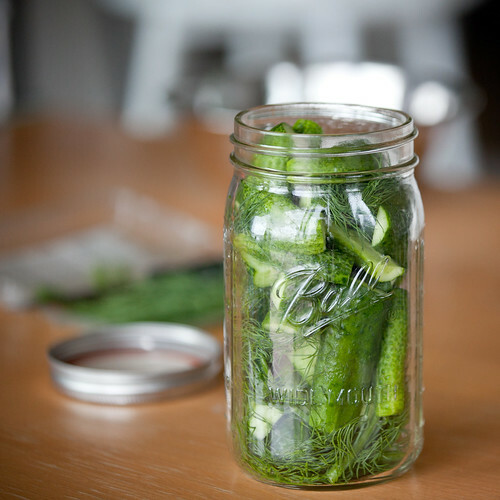 Found some pickling cukes on http://www.sustainableseedco.com that I might try to grow for this recipy..Thanks!